At Air Nation, we provide both commercial and residential HVAC installation and HVAC repair. When you own or manage commercial and business properties, it is essential that both the employees that work in the building and customers shopping experience comfortable temperatures. It not only keeps employees productive, but enjoyable temperatures will keep customers in the building and shopping! Likewise, you don’t want to get stuck in the Florida heat deep into the summer months trying to cool your home while trying to find an HVAC repair company and keep your daily activities in order. No matter what the external elements bring, Air Nation can undoubtedly help you control the environment inside your commercial property or home. You’ll find reprieve in our experienced and knowledgeable HVAC repair technicians to ensure your comfort in any weather condition. HVAC systems, while hardy and reliable, age and break down and, at some point in their lifespan, they’ll need to be repaired or replaced. The best place to start is with the scheduled routine maintenance of your HVAC system. Regular maintenance ensures that everything is in working order and keeps it in optimal running condition, longer. You may want to schedule maintenance if your AC isn’t as cold, your heat isn’t as hot, or if the output is strained. 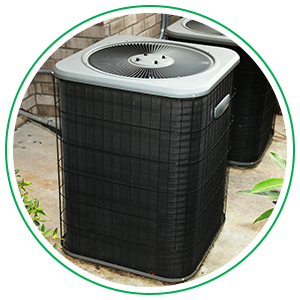 If your air conditioning system needs to be replaced, we offer both AC units and AC mini splits. When you replace your AC unit, you can benefit from higher efficiency units that save on your monthly energy bill and cool your home more efficiently. Don’t leave heating or cooling your commercial property or home to just any HVAC company, have the HVAC authority in your phone for any HVAC repair or installation needs. We set the industry standards with our knowledge base in HVAC services and are NATE-certified, with more than 15 years in the business. When you choose Air Nation, you’ll be greeted with experience, reputation, stability, and respect. We also offer a 100-percent satisfaction guarantee and up-front pricing, so you’ll never be stuck with a hidden charge or service fee. Contact us today for more information about our HVAC repair and HVAC installation!